Do you think Mario ever gets too warm? It’s the middle of summer in most of the levels that he runs through. Why, he even has to tackle a few desert levels. It must get awfully sweltering wearing a thick, long-sleeve shirt and a pair of overalls all day. You’d think that Mario would wear something different, but he just keeps on truckin’ in those plumber-style clothes. But maybe that’s just because he doesn’t know about rompers. Yes, rompers. Rompers aren’t just for kids anymore. 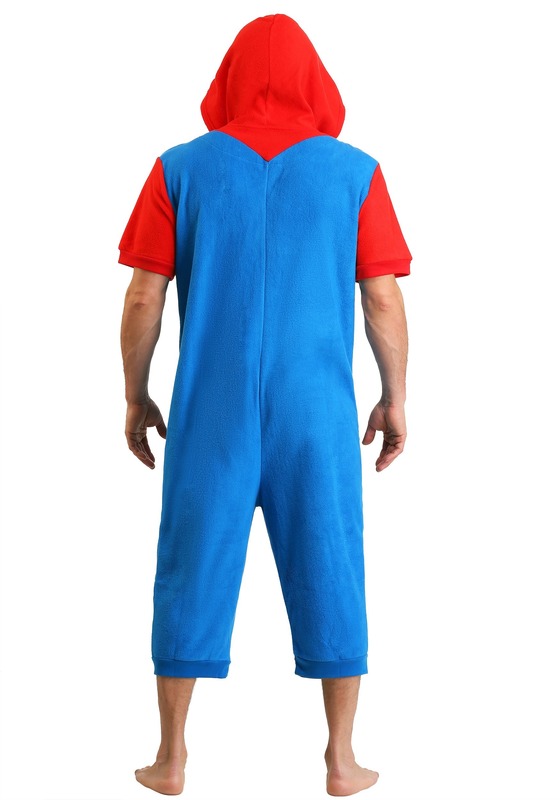 This Super Mario romper is an easy way for you to cosplay as your favorite Nintendo character and you don’t have to suit up in long sleeves and long pants! 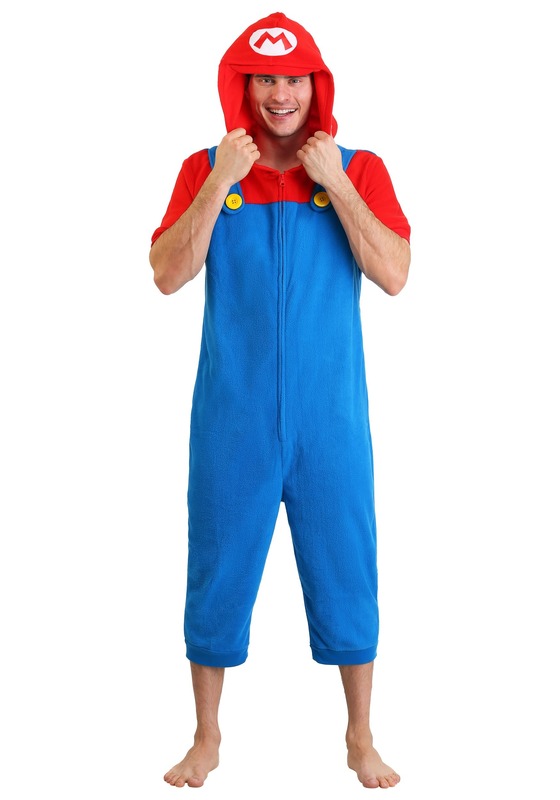 This officially licensed Mario romper brings you the style of the video game character, but combines it with the comfort of an easy-fitting romper. The single piece has a blue bottom with matching blue shoulder straps attached to the top. The top is red and features short sleeves for a cool and comfortable fit. The zipper in front makes it quite easy to put on (and it also makes bathroom breaks a bit easier). Finally, the hood has details that make it look like Mario’s hat. It has an attached brim in the front and a giant “M” printed onto the front. 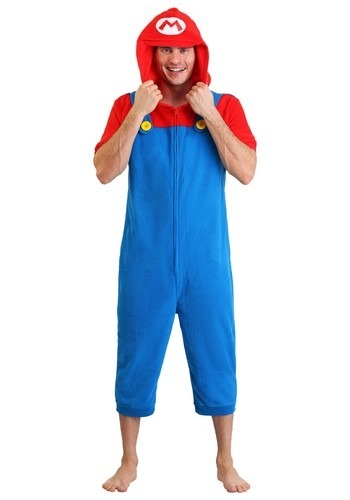 We bet that if Mario knew about this romper, he’d hang up his overalls for good! Of course, this outfit is a great option for anyone who doesn’t want to load up in various layers during their next convention outing. Be sure to check out some of our Super Mario accessories to customize your look and don’t forget to bring Luigi along for the ride! This romper style even comes in a Luigi style, so you can take your little bro with you everywhere you go!